It seems that the season of collaborations is upon us and since Mr Nice Bhachi did a tag team on us I'll do a tag team of my own and bring the lovely Miss Vanadis along for this review ("Ehe ndanyanya" :D). Like most cautious zimbos out there I’m usually wary of anything which purports to being a ‘quality’ product because the odds of it living up to this marketing are usually very slim and they dismally fall far too short of the word itself. However this initial skepticism I harboured about the blowing horn which I’d heard at the start of the song, gradually disappeared just a few seconds into the song, and I actually ended up conceding to the fact that the song did indeed have the makings of a ‘smash hit’. 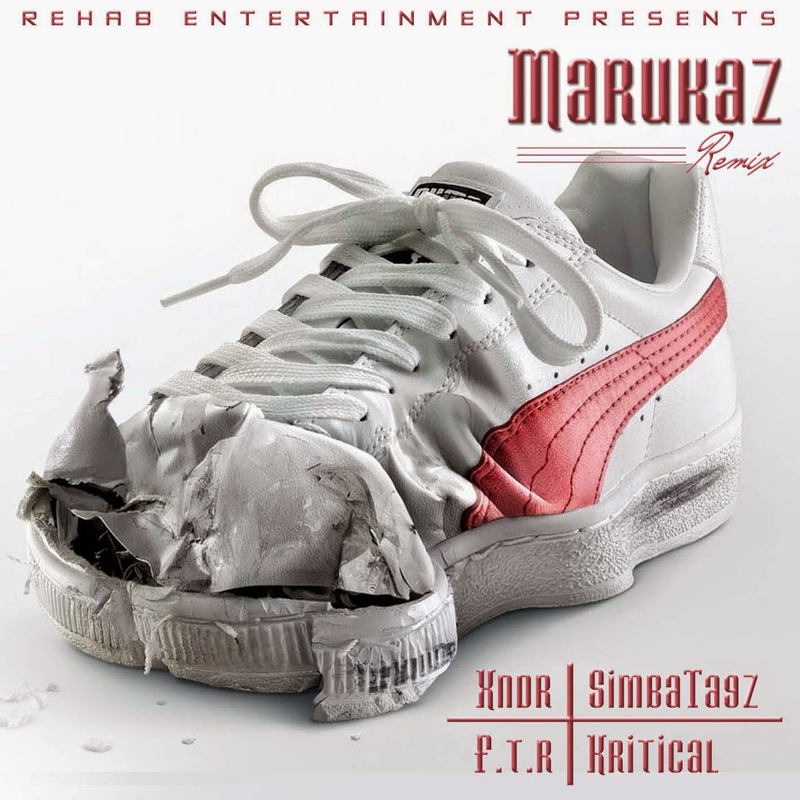 The song is a diss song- a mockery so to speak targeted at party-poopers better known as the ‘marukaz’ to those of us with a street savvy/ ghetto lingo. Now we all known that in order for a diss to be worth its weight in gold and worth listening to; the person on the other side of the mic has to be able to live up to what he claims to have which the party being dissed doesn’t have. Otherwise it might end up being a case of being given a bitter taste of one’s own medicine when the tables turn. Having said that- I have to say that this track definitely got my head nodding to the bars being dropped which I believe were definitely excellent’ which explains my lack of amazement when I heard that all the gentlemen on this track are producers. These producers definitely have something special and any artists in their stables can rest assured that they are in capable hands. After all has been said and done, marukaz remix is definitely a song that will be on replay on my playlist for some time to come and hopefully after you listen to it yourself, you will come to the same conclusion that I have come to. So if there is anyone who is weary of these marukaz, and needs some respite from the bogus stuck in the eighties… download this song and be ‘rehabilitated’ back to the present day. So as we enter into the weekend with this one, well done Mr. Nice Bhachi I think we have a hit on our hands coz shuwa mabars ayaa *MC Cut voice*. A lotta shade thrown in between (ehe I see you) but what do you expect when producers come together? A hit, OBVIOUSLY. Signing out with my themed Rukaz dance (holla at me and maybe I'll teach it to you).